With Little Steven & The Disciples of Soul. First performance of Little Steven's "Sun City" on tour, with guest Mos Def. Dante Terrell Smith (born December 11, 1973, Brooklyn, NY), better known by the stage names Mos Def and Yasiin Bey, is an American actor and hip hop recording artist from Brooklyn, New York City. Official live download at live.brucespringsteen.net. 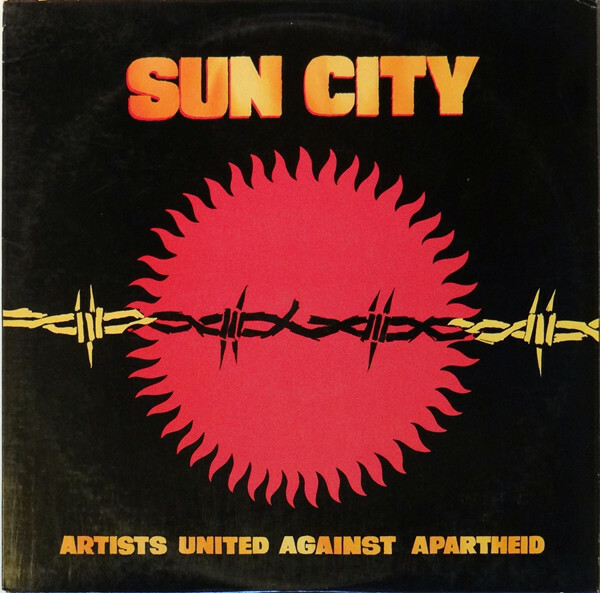 "Sun City" is a 1985 protest song written by Steven Van Zandt, produced by Van Zandt and Arthur Baker and recorded by Artists United Against Apartheid to convey opposition to the South African policy of apartheid. The primary means of that opposition is to declare that all the artists involved would refuse any and all offers to perform at Sun City, a resort which was located within the bantustan of Bophuthatswana, one of a number of internationally unrecognized states created by the South African government to forcibly relocate its black population. Van Zandt was interested in writing a song about South Africa's Sun City casino resort, to make parallels with the plight of Native Americans. Danny Schechter, at the time a journalist with ABC News' 20/20, suggested that the song should be a different kind of "We Are the World", or as Schechter explained, "a song about change not charity, freedom not famine." As Van Zandt was writing it, Schechter suggested that he include the names of the artists who had played Sun City in defiance of a United Nations-sanctioned cultural boycott. "I was probably still thinking of 20/20's exposé of conservative Africanists 15 years earlier," says Schechter. References to specific performers who had played in Sun City appeared in the demo but were omitted from the final version of the song. When Van Zandt was finished writing "Sun City", he, Baker and Schechter spent the next several months searching for artists to participate in recording it. 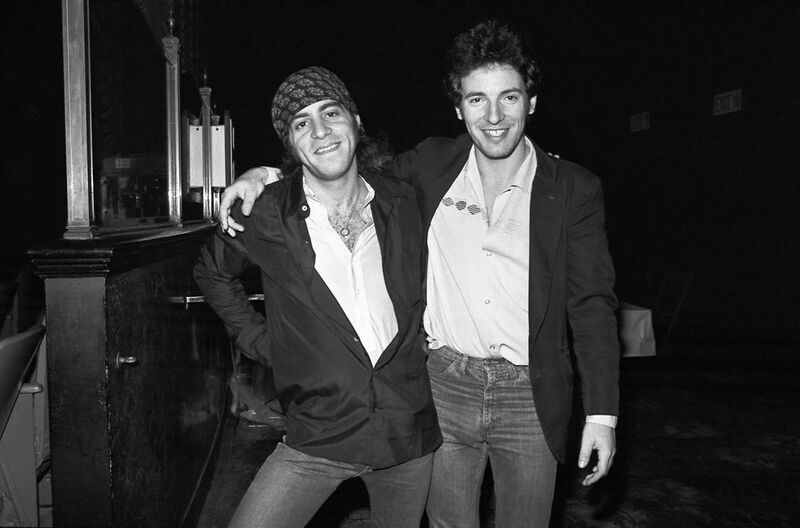 Van Zandt initially declined to invite Bruce Springsteen, not wanting to take advantage of their friendship, but Schechter had no problem asking himself; Springsteen accepted the invitation. Van Zandt also had reservations about inviting jazz giant Miles Davis, whom Schechter also contacted; with minimal persuasion, Davis also accepted. Eventually, Van Zandt, Baker and Schechter gathered a wide array of artists, including Kool DJ Herc, Grandmaster Melle Mel, The Fat Boys, Rubén Blades, Bob Dylan, Herbie Hancock, Ringo Starr and his son Zak Starkey, Lou Reed, Run DMC, Peter Gabriel, David Ruffin, Eddie Kendricks, Darlene Love, Bobby Womack, Afrika Bambaataa, Kurtis Blow, Jackson Browne and Daryl Hannah (his girlfriend at the time), U2, George Clinton, Keith Richards, Ronnie Wood, Peter Wolf, Bonnie Raitt, Hall & Oates, Jimmy Cliff, Big Youth, Michael Monroe, Peter Garrett, Ron Carter, Ray Barretto, Gil-Scott Heron, Kashif, Nona Hendryx, Pete Townshend, Pat Benatar, Clarence Clemons, Stiv Bators and Joey Ramone. 303 tracks were mixed down to create "Sun City." A music video directed by Jonathan Demme with Godley and Creme was also produced. Van Zandt and Schechter also struggled to get their documentary seen. Public Broadcasting Service (PBS) refused to broadcast the non-profit film The Making of Sun City even though it won the International Documentary Association's top honors in 1986. PBS claimed the featured artists were also involved in making the film and were therefore "self-promoting." In 1987, WNYC-TV, the New York City-owned public television station, aired an updated version of the documentary, produced by filmmaker Bill Lichtenstein along with Schechter. The film included updates about the Sun City resort and apartheid as well as the success of the Sun City video. In addition to airing the documentary, WNYC-TV made the film available over the PBS system to public television stations across the country for broadcast. The album and single raised more than US$1 million for anti-apartheid projects, but it paled in comparison to the popular and financial success of "We Are the World". It premiered at the United Nations, thanks to the Special Committee Against Apartheid and UN officers such as Aracelly Santana. Oliver Tambo and the ANC's school in Tanzania "was sure happy when we gave them a big check," according to Schechter. In South Africa, "Sun City" would later inspire musician Johnny Clegg to create a local organization similar to Van Zandt's. "Sun City" also became the catalyst for the South Africa Now TV series. Since the end of the apartheid era, the song is rarely played on the radio. Years and bands went by: Child, Steel Mill, the Bruce Springsteen Band -- they were all some combo of the above-mentioned gang. Then I scored a solo recording contract with Columbia Records and I argued to get to choose my recording "sidemen," which was a misnomer, in this case, if there ever was one. So, I chose my band and my great friends, and we finally landed on E Street, the rare, rock & roll hybrid of solo artistry and a true rock & roll band. But one big thing was missing. It was a dark and stormy night, as a Nor’easter rattled the street lamps on Kingsley Blvd. and in walked Clarence Clemons. I’ve been enthralled by the sax sounds of King Curtis and I searched for years for a great rock and roll saxophonist. And that night Clarence walked in, walked towards the stage, and he rose, towering to my right on the Prince’s tiny stage, about the size of this podium, and then he unleashed the force of nature that was the sound and the soul of the Big Man. In that moment, I knew that my life had changed. Miss you, love you, Big Man. Wish that he was with us tonight. This would mean a great, great deal to Clarence. An honorable mention and shout-out to Ernie "Boom" Carter. The drummer who played on one song only: 'Born to Run.' He picked a good one. So here’s to you, Ernie. Thank you, thank you. Thanks, of course, Max Weinberg and Roy Bittan, who answered an ad in the Village Voice. 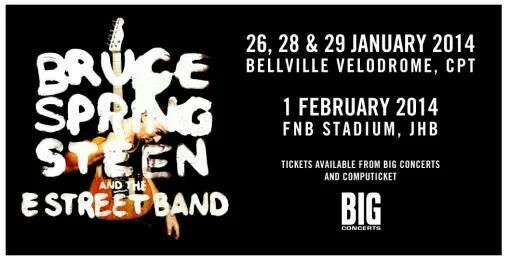 And they beat out 60 other drummers and keyboardists for the job. It was the in-fatigable, almost dangerously dedicated Mighty Max Weinberg and the fabulous five fingers of Professor Roy Bittan. They refined and they defined the sounds of the E Street Band that remains our calling card around the world to this day. Thank you, Roy. Thank you, Max. They are my professional hitmen. I love them both. Then, 10 years later, Nils Lofgren and Patti Scialfa joined just in time to assist us in the rebirth of 'Born in the U.S.A.' Nils, one of the world’s great, great rock guitarists, with a choir boy’s voice, has given me everything he’s had for the past 30 years. Thank you, Nils. So much love. And Patti Scialfa, a Jersey girl, who came down one weekend from New York City and sat in with a local band, Cats on a Smooth Surface, and Bobby Bandiera at the Stone Pony, where she sang a killer version of the Exciters’ 'Tell ‘Em.' She had a voice that was full of a little Ronnie Spector, a little Dusty Springfield and a lot of something that was her very, very own. After she was done, I walked up, I introduced myself at the back bar, we grabbed a couple of stools and we sat there for the next hour -- or thirty years or so -- talking about music and everything else. So we added my lovely red-headed woman and she broke the boy’s club! Now, I wanted our band to mirror our audience, and by 1984, that band had grown men and grown women. But, her entrance freaked us out so much that opening night of the Born in the U.S.A. tour, I asked her to come into my dressing room and see what she was gonna wear! So she had on kind of a slightly feminine T-shirt and I stood there, sort of sweating. At my feet, I had a little Samsonite luggage bag that I carried with me, and I kicked it over. It was full of all my smelly, sweaty T-shirts and I said, "Just pick one of these. It’ll be fine." She’s not wearing one tonight. But Patti, I love you, thank you for your beautiful voice, you changed my band and my life. Thank you for our beautiful children. So, real bands -- real bands -- are made primarily from the neighborhood. From a real time and real place that exists for a little while, then changes, and is gone forever. They’re made from the same circumstances, the same needs, the same hungers, culture. They’re forged in the search of something more promising then what you were born into. These are the elements, the tools, and these are the people who built the place called E Street. Bruce Springsteen made a surprise appearance at the New Jersey Hall of Fame induction ceremony Sunday to help honor E Street Band’s Steven Van Zandt. The guitarist was inducted alongside fellow Jersey-reared stars like Meryl Streep, Blondie’s Debbie Harry, Gloria Gaynor and the Four Seasons.